Posted on February 27, 2019 by Barbara H.
I’ve finally taken the plunge. 🙂 Some of you know that I am in the process of writing a book. I have the rough draft finished and now have to go back through and work on editing and shaping up. Publishers these days want authors to have a public platform in place before considering their book. So I created an author Facebook page to keep separate from my personal Facebook account. I want to invite you to like and follow my author page here. I probably won’t link every blog post there – just the more devotional ones for now. And I’ll share updates about the book progress as well as general encouragement. I do have a Facebook page that my blog automatically shares posts to, as some prefer to read them there. If I end up posting the same content both places, I’ll probably close down the blog page and just keep the author one. But we’ll keep them as is for now and see how it goes. February has always been pleasant to me, even though it’s still wintry and cold. It’s a short month, and it brings us one month closer to spring! Two highlights in February for me are Valentine’s Day and my daughter-in-law’s birthday. For scheduling reasons we celebrated each after the official day. Valentine’s Day vies with Christmas as my favorite holiday. I made my usual “meat hearts” (mini meat loaves shaped like hearts) and chocolate heart-shaped cupcakes. My grandson’s parents suspect red dyes of giving him problems, so we’re trying to avoid anything with red dye. Since most sprinkles and colored sugars for Valentine’s Day have red in them, I looked for non-food decorations and found these cute little cupcake toppers at Target. The Cricut machine did all the heavy lifting of cutting that out. I just had to choose the design and glue it together. The fox and paw prints are stickers. She likes lavender and purple, so I used a heart-shaped punch and several lavender pieces of scrapbooking paper. On the checkered one, I used a corner punch at the bottom. This was for my grandson, Timothy. The top cookie shape was done on the Cricut, and I got it a little too big, but it worked out ok. The shape of the bottom one was also done on the Cricut, but the paper on top looked like sprinkles already. Then, it’s always a joy to celebrate our sweet daughter-in-law’s birthday. I found that cute little birthday cake banner at the grocery store. The letters were stickers; the square and rectangle shapes were cut with my paper cutter; the hearts were made with punches. I actually did the cupcake freehand, which doesn’t usually work out well! But it came out ok this time. Oh, the texture designs on the background and icing were done with the Cuttlebug embosser. Those celebrations are not only enjoyable in themselves, but they are bright spots in the long winter and wait for spring. We are starting to see some bulbs pushing through the soil, but we still have some cold temperatures predicted for the next several days. We experienced a lot of major flooding in our area last weekend after several days of heavy rain. Our house was fine, as it’s on raised ground. But a lot of roads around us were flooded over, including an on-ramp to the interstate. Something that just occurred to me recently was that my mother-in-law cared for her own parents in various ways for years. They did not live with her, but they lived near-by, and my in-laws were the go-to people when her parents needed help of any kind. Of course they visited other times than when they needed help, and probably needed more help the older they grew. 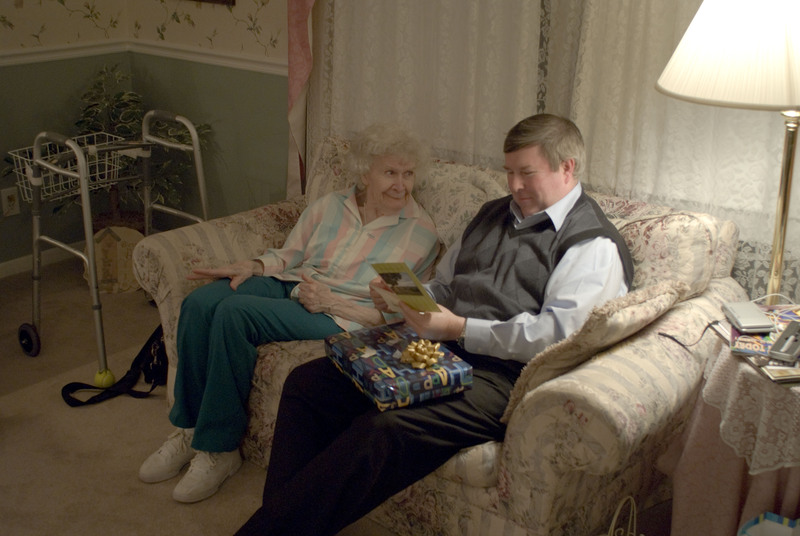 In some way I can’t quite explain, it helped me to realize that she understood what was involved in care-giving, and that I was able to give back to her in that way. Marilla of Green Gables by Sarah McCoy, a nice imagining of what Anne’s Marilla might have been like as a girl. Murder in an English Village by Jessica Ellicott, kind of a cozy mystery involving a jet-setting American and a homebody Englishwoman who are friends with opposite personalities and who stumble across buried secrets in a sleepy little post-WWII English village. Katie’s Dream by Leisha Kelly, the continuing saga of the Worthham family in the post-Depression era. This time Sam’s brother, recently released from prison, brings a little girl he insists is Sam’s, even though Sam never even met the girl’s mother. The story involves untangling the confusion and deciding what’s best to do with a little girl who only wants a home. Read the Bible for Life: Your Guide to Understanding and Living God’s Word by George H. Guthrie. Excellent resource for just what the subtitle says. Especially helpful in discussing the different genres we find in the Bible and how to get the most out of them. A Little Princess by Frances Hodgson Burnett, classic riches-to-rags-to-riches story that I had never read before. I am so glad I have now. I’d Rather Be Reading: The Delights and Dilemmas of the Reading Life by Anne Bogel. Pleasant musings on the reading life. On the Way Home and The Road Back by Laura Ingalls Wilder. The first is Laura’s record of moving with her husband and daughter by covered wagon from South Dakota to Mansfield, Missouri; the second is her journal of traveling back to South Dakota to visit her two remaining sisters 40 years later in an un-air-conditioned Buick. I’m currently reading Becoming Mrs. Lewis: The Improbable Love Story of Joy Davidman and C. S. Lewis by Patti Callahan, Love Is Not a Special Way of Feeling by Charles Finney, and Steal Away Home: Charles Spurgeon and Thomas Johnson, Unlikely Friends on the Passage to Freedom by Matt Carter and Aaron Ivey. 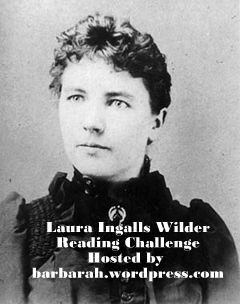 Why Laura Ingalls Wilder Is Still Worth Reading. No, she and her family were not perfect. But we can still learn from them. And that about wraps up February! I have an adventure coming up that I look forward to telling you about a little later on. Posted on February 4, 2019 by Barbara H.
My mother-in-law, Colleen, was born two months premature 90 years ago, before we had all the technology for preemies that we do today. She weighed around two pounds. Her parents made her a bed in a shoebox and kept it by the stove for warmth. It’s a miracle that she survived. She did end up with a number of physical issues. One was severe scoliosis. I was told that she was also diagnosed with cerebral palsy: although that’s not exactly what she had, it was the closest diagnosis they could make. She told me once that she could not take P.E. because of physical issues, so she spent that class being the girl who checked people in and out of the gym locker room. She didn’t let physical problems stop her from living life to the fullest. She went to college for a couple of years, married, bore and raised four healthy children, canned produce from her husband’s garden. The family made regular expeditions to the hills to gather wood for the wood-burning stove that was their primary source of heat. Colleen split wood well in to her seventies, long after her husband no longer could due to his own health issues. Until the day she died, the nurse commented on how strong her heart was. She also had a good mind and loved to use it. She was the editor of her high school newspaper. Reading was her favorite hobby, and she regularly walked to the library for a new armful of books. Reader’s Digest was her favorite magazine. Once she saw an article that seemed to fit her husband’s symptoms and convinced the doctor to investigate. Sure enough, he found that her husband had an abdominal aneurysm. The one time she didn’t want anyone to talk to her was when the news was on. A few years ago my husband was using Google Earth on his laptop to show her some of the various houses where she used to live. Fascinated, she said, “If I had one of these things, I’d never get anything done!” When she was in assisted living, often when I visited, she would ask, “What’s new?” Not much had happened since I saw her the day before, so I usually did not have a good answer. “Well…I got the laundry done…” She’d say, “Come on, you’re out there in the world. Surely you have some news.” I’m not into watching the news, but it’s one of my regrets that I didn’t look up some interesting fact or news item to share with her in those visits. Her life was marked by quiet industriousness until her limbs no longer worked for her. She rarely did anything on a small scale. Why make one lasagna when you could make two or more and freeze the excess? One Thanksgiving when almost all of the family was there, she had almost one pie per person. She was a child of the Depression, and so she was marked by frugality almost to a fault. Many family stories revolved around her thriftiness. Empty margarine and Cool Whip tubs were her Tupperware, causing one sister-in-law to ask, while holding open the refrigerator door, “Which one of these really has butter in it?” I remember her pulling some corn out of the refrigerator, commenting that it didn’t look very good, and, instead of throwing it out, adding more corn to the leftovers. Her husband worked in a grocery store and often brought home cans that had lost their labels, prompting many a mystery meal determined by what was in a given can. He also brought home out-of-date dairy products, prompting someone to remark once on “milk with pulp.” In her book, it was a sin to throw food away. She also tucked money away in odd places, like pockets of unused clothes hanging in the closet. She could be feisty. One day, for some reason, she asked me if Jim and I had had any fights lately. As she asked, she had her fists doubled up like an 80 year old boxer. I explained that, no, we didn’t usually fight: we’re both more the type to get quiet when we’re angry or upset. She said, “Really? You never fight?” while swirling those fists around. She and her husband did sometimes, but they just took it as a matter of course and made back up after the argument was over. She loved the outdoors. The family camped frequently. When she came to help with my oldest son, then nine months old, after my gall bladder surgery, she took him and the playpen outside every day for fresh air. She did not grow up in a stable, loving home environment. 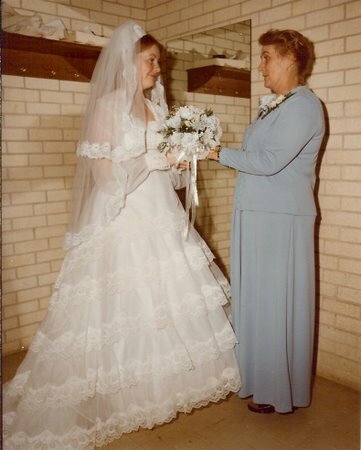 Without going into all of the specifics, suffice it to say that after her mother died, Colleen said, “All my life I tried to get my mother to love me, and I never succeeded.” Colleen’s mother did not have the easiest life, either, but she chose to be bitter, and that bitterness spread to everyone her life touched. Colleen experienced her mother’s bitterness and saw how it affected all her life and relationships, and Colleen chose a different way. I’ve heard different versions of which person in the family first became a Christian and how it all happened. Unfortunately, by the time I thought to ask about the specifics, Colleen was past the point of being able to articulate them. One story was that her parents started attending church and made a profession of faith which led to Colleen’s attending the same church. Another story had Colleen’s children invited to VBS or something at a church, which led to Colleen’s visiting. Perhaps both of those scenarios are true and involved the same church. At any rate, the pastor there remembers leading Colleen to the Lord when she was a young wife and mother. Colleen was so enthused about her new relationship with God that she wanted her best friend, Margie, to understand and experience it, too. There were no concordances or Bible programs in that day, but Colleen spent much time poring over her Bible, noting and jotting down verses to share with her friend. Eventually Margie and her husband, Ken, became believers as well. Ken later became a Sunday School teacher and had my husband, Jim, in his class and led him to the Lord. Marge and Ken’s son-n-law led the singing at Colleen’s funeral. Colleen’s husband made a profession around the same time, but he was not as into fully living the Christian life as she was. He lived by Christian morals, but he rarely attended church with her, and he sometimes got angry at her desire to give offerings to the church. She worried that perhaps he was not actually a Christian, that perhaps he had just followed Colleen and their friends without experiencing a real heart change himself. Late in his life, as he began experiencing health issues, she told him she had to know where he was spiritually. He assured her that he was saved, and their last few years together they had the spiritual fellowship that they’d lacked for so long. Neither of them came from good homes, and it’s amazing to me that they were married 54 years. 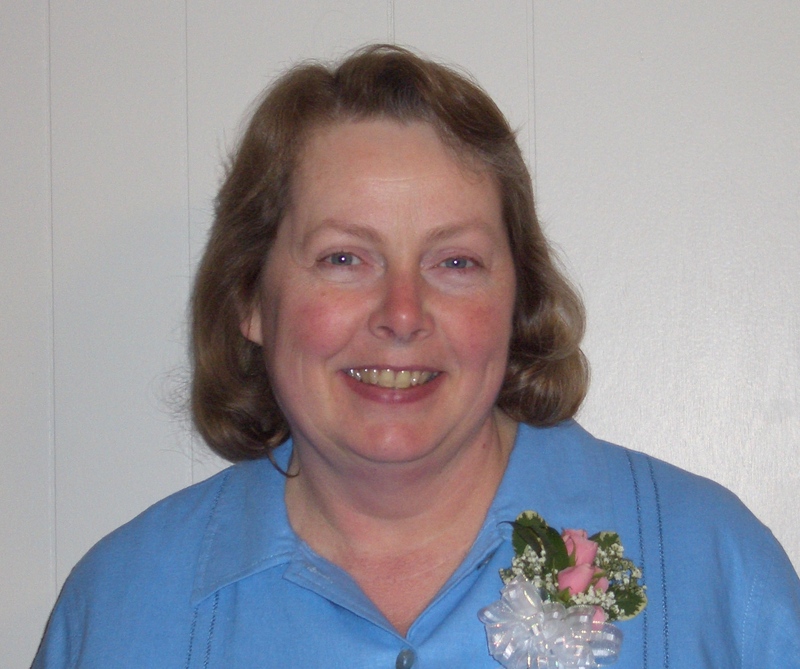 She was not an “out in front” kind of person, but she found quiet ways to serve God. She was the church treasurer for years. She served in Awanas, listening to children’s memory verses, until her hearing loss made that unfeasible. Just at her funeral, a friend told us that Colleen and her close friend, Sybil, had visited this woman’s parents in their last years. Who knows what kinds of ministries like that she participated in without any of the rest of us ever knowing. And she prayed. As her own children grew, left home, and started their own families, prayer was her main ministry for each of them. She was not one to complain. In fact, there were times there were underlying family issues going on that we didn’t know about until we visited. We’d ask, “Why didn’t you tell us any of this?” “Well, I didn’t want you to worry.” That’s why, when she could no longer live alone, we wanted to move her near family who could watch out for her and check on her. We knew if she stayed 2,000 miles away, we would never know if she wasn’t being treated well, because she’d never say otherwise. The only time I saw her cry after she moved here was when we told her house house in ID had sold. She knew that was coming, but the loss of that last tie with the home she had known so long was understandably sad. Our boys enjoyed finally having a Grandma close by, since we had lived away from all of our parents. For a few years we’d pick her up to attend Jesse’s basketball games and take her with us to Wendy’s or somewhere afterwards. We’d pick her up for church on Sundays and bring her home for dinner afterward. We visited almost every day and attended family dinners and special functions at her facility. We’d bring her to the house for holidays and other get-togethers. But eventually she declined to the point of not being very mobile. She passed the level of care her assisted living facility provided, so she had to be moved to another. Neglect of the part of this facility led to a UTI going septic, which sent her to the hospital for 8 days. She was released to a nursing home, and around this time started having trouble swallowing and had to start eating pureed food. After about six months in the nursing home, she was down to 90 lbs. and not doing well. We brought her home to die among loved ones. But instead, she thrived with one on one care and gained weight. We had not known that the doctors had her on a narcotic painkiller until we received her medication list when she was discharged. We don’t know why: they never spoke with us about what they did or why. Perhaps they thought her arthritis required painkillers, or perhaps they started them when she had a bedsore and then never stopped them. At any rate, we weaned her off of them, and she became more clear-headed. She was still bedridden, except the couple of hours a day we had her in a wheelchair. But she was aware and could talk with us. But, of course, no one could stop the long-term decline, and many of you have followed with us as she lost the ability to speak and became less able to move over the last few years, until she passed away January 18. Also the evening reading for Daily Light on the Daily Path for that night focused on what God is preparing for those who love Him, like “Eye hath not seen, nor ear heard, neither have entered into the heart of man, the things which God hath prepared for them that love him” (1 Cor. 2:9-10). These truths were not new to us, but they blessed us by considering them again during this time, knowing that God knew beforehand what we’d be going through those days and had this reading planned for us. We witnessed Colleen’s “outer self wasting away.” But we know that, since she had long ago repented of her sins, believed on the Lord Jesus Christ, and turned from her own way to His, that He has prepared for her that eternal home in heaven, and she is with Him now. But thanks be to God, who in Christ always leads us in triumphal procession, and through us spreads the fragrance of the knowledge of him everywhere. For we are the aroma of Christ to God among those who are being saved and among those who are perishing, to one a fragrance from death to death, to the other a fragrance from life to life. Who is sufficient for these things? (2 Cor. 2:14-16). Posted on January 19, 2019 by Barbara H.
Jim’s mom passed away very peacefully last night. Her decline til now had been very slow: she had been in hospice care for over three years (the usual course is six months). So I expected her last phase to go slowly as well, but it went very quickly. I think that was a mercy. The last couple of days were hard as she struggled for breath even with 100% oxygen. Hospice prescribed some medicine to help with congestion and calmness, and that made her last afternoon and evening much more peaceful. The chaplain came by yesterday and sang “Precious Lord, Take My Hand” to her. Our prayer had always been that God would take her peacefully, with no pain, trauma, or confusion, and that’s just how it happened. We were both in the room and Jim was standing beside her stroking her head, when he saw her last breath. We called Jesse in and had a little private family moment – Jason and his family had said their goodbyes the night before. Her regular caregiver for 4 years now (not with hospice) asked to be called when it happened, so she came over and helped the hospice nurse take care of Jim’s mom’s body, and then we all waited til the guys from the funeral home came. As I said yesterday, death is called “the last enemy,” but its days are numbered. Some day “there shall be no more death, neither sorrow, nor crying, neither shall there be any more pain: for the former things are passed away” (Revelation 21:4). But we do have them now, even as we rejoice that she is free from a crumpled, silent body and now breathing easily and reunited with her husband and sister and seeing the face of her Savior, who loved her and gave His life for her, whom she loved and faithfully served all her life. So we’d appreciate your prayers for her family, friends, and caregivers here. Naturally I’ll be out of pocket for a few days. Thank you, dear friends. This song came through in my playlist last Sunday, and seemed so appropriate. I wish I could find a clip or video of it online, but the CD it came from, Proclaim His Name by Mac Lynch and Tim Fisher, seems to be out of print. All is done; the race has ended. Weary bones are set aside. In a garment white, with celestial light. Sin is gone; the pain has lifted. Left behind are vic’tries won. Now you see your risen Savior. Rest, rest, rest, oh, weary pilgrim. Come and see that I’ve prepared for you. Free from sin and evermore I will give you rest. Posted on October 19, 2017 by Barbara H.
When Timothy saw my fall decorations out, after he had squeezed or thumped all the pumpkins, he asked if it was “punkin time.” I was surprised he remembered decorating pumpkins – he’s only 3. But we hadn’t made plans for it yet and had to explain for about a week or so that we didn’t have pumpkins. Finally last Saturday we did! Timothy painted his, because of course he’s too young to handle a blade. Mittu has painted hers the last couple of years so Timothy wasn’t the only one painting. I like the designs of the carved pumpkins and the light shining through them – but I am not very good at it. The last couple I’ve done didn’t come out as I had planned and had to be fixed in some way – last year Jim held it together with toothpicks for me. So I decided to paint this year, too. It’s much easier and faster! And the painted pumpkins last longer than the carved ones. But I do still miss the carved design. I was going to paint one based on an emoji, but discovered my yellow paint was too dried up to use, so I opted for another design I’d seen that is supposed to look like Nemo. …and the other like this. Jim chose Trump (in previous years he has done Barack and Michelle Obama and Hillary Clinton). He didn’t like how it turned out, but the rest of us thought it was a good resemblance. Jason made his own template from a photo he had taken of Timothy. I thought it turned out really well! I’m thankful my daughter-in-law suggested starting this tradition a few years ago. Neither my husband nor I grew up with it, so we never even thought about doing it when our kids were little. Plus I was concerned about all the evil origins of everything then, but decided in more recent years that these kinds of things aren’t generally associated with anything evil in this time and in this country. Posted on May 14, 2017 by Barbara H.
May always makes me think of my mom, because Mother’s Day and her birthday are both this month. She passed away eleven years ago at the age of 68, much sooner than either of us wanted to say good-bye. That first spring I couldn’t go near a card shop because all of the items out for Mother’s Day were just too painful. Now, though the grief of missing her is still there, it is tempered with good memories. One of the things I most appreciated about my mom was that she could be a friend to us without sacrificing her authority. I could talk to her about anything. My mom and I when I was a baby. My mom and I before my wedding. In my college years God brought a new family to our church. They noticed that I came to church alone and invited me home with them often. Mrs. C. became like a second mother to me. I’ve often referred to her as my spiritual mom. Her gentle example as a wife, mother, and homemaker taught me much, though I don’t think she was deliberately trying to teach me anything. We’ve corresponded for years, though her notes have become less frequent as she has gotten older and developed several health issues. I’ll always be thankful for her influence on me. My third mom came into my life when I got married. My mother-in-law and I have had a very amiable relationship with no in-law horror stories. She had several problems in her life that would have made some people angry and bitter, but instead she sought God’s grace to surround the irritants like an oyster making a pearl. It has been sad to see her decline over the last few years, but we’ve been blessed to move her near us and to be able to include her in our family life. There have been other women as well who had a word of encouragement for me along the way. I am thankful for “Aunt Sylvia,” my mom’s best friend, who never married or had children of her own but brought us Christmas presents, was always kind to us, and who bravely battled cancer. She once stepped in to pick me up from camp to explain that my parents were with my sister who had been hurt in an accident while I was away, and I am sure her calmness affected me. I remember spending many nights with my grandmother when she lived near us and accompanying her on road trips in the summer. She was always crocheting any time she was sitting down and her hands were free. I remember working on a church bulletin board with a lady whose oldest was a teenager while mine was still a toddler. She encouraged me not to dread either the “terrible twos” or the teen years or any stage in between but to believe that even those stages can be good, and I am happy to report they were. I am thankful for Aunt Bobbye, my mother’s sister, for her being available to us any time we needed her, for her zany sense of humor, her care and support at my mom’s viewing and funeral, and for her love and care and continued interest throughout my life. I remember and am thankful for walks and breakfasts and lunches and “play dates” with friends in the same season of life as we encouraged each other in our mothering. I am thankful for godly pastor’s wives I’ve had and their sweet spirit and godly counsel. In every season of life there have been a few ladies just ahead of me that I could watch and learn from, though they may not have known they were being observed. Even now, on the cusp of an empty nest, I’m inspired by a couple of older ladies who have been shining and cheerful examples in their “upper middle age” years. I am thankful for so many women who were examples to me and made me a better woman, wife, and mother. I hope I can encourage others as these ladies did me. 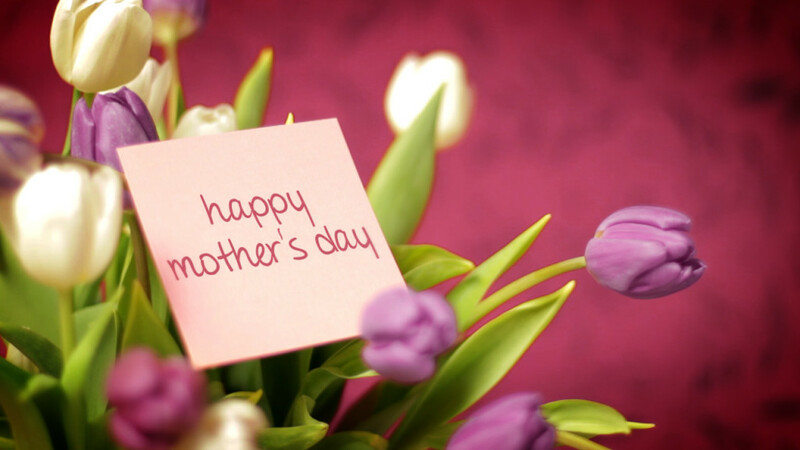 I hope you have a wonderful Mother’s Day and feel renewed in your roles this morning. Posted on April 18, 2017 by Barbara H.
We’ve just finished up a happy but very busy time with family, and I’ve been catching up on sleep and laundry the last couple of days. First of all, my oldest son, Jeremy, came for a visit. He’s not usually here this time of year, but, if I remember correctly, I think he or Jim had some free airline miles, so he was able to come for Easter and some of the week’s other events. His first day here, we went over to Jason and Mittu’s for lunch. Over the last several months they’ve painted all their rooms, their kitchen cabinets, made headboards for their beds, a kitchen table, and a coffee table. So it was fun not only to visit but to see what was new, especially for Jeremy, who hadn’t seen their house in a while. They came over to our house that evening for dinner and more visiting. Then, it was my grandson Timothy’s 3rd birthday! We went to the Little Ponderosa Zoo, as we did last year. I wasn’t quite as impressed with it as I was last year, but it’s still a good size for young children, and the animals are more accessible for petting and feeding than the big downtown zoo. It was fun to see him more into it this year, feeding the goats and even riding a pony for the first time. We had a picnic lunch there, and Timothy enjoyed the small playground. He even went down the big slide by himself! Then we went home for naps. They came to our house again in the evening for Timothy’s birthday dinner (nachos, or, as he calls them, cheesy chips), cake, and presents. A lot of his presents had to do with construction vehicles, but one of his favorites was this blender set. The next day we went to WonderWorks in Pigeon Forge, TN, or, as we call it, the Upside Down House (Timothy couldn’t quite master that and called it the “Up down up down house.”) Ever since we passed by it the first time not long after we moved here, I wanted to see it some time, and Jim found a deal on tickets that expired before Jeremy was due to come back in the summer. Though we did have fun, it was a disappointment in many ways, starting with the person at the ticket counter. We hadn’t known that our tickets included the magic show, and Jim asked him what the magic show was like. With a barely perceptible shrug, the guy said, “It’s a magic show.” Duh. So Jim asked more specific questions, like was it in a separate room with seating, etc., or was it like one of the exhibits. The former, it turned out, which might have been fun except the only shows were in the evening and we were only there for the morning. The rest of the building was very dark and very loud. There were a few hands-on exhibits, which is what we mainly wanted to see, but a good part of it was arcade-style games. But even the exhibits were hard to get much out of because everything was crowded, frenetic, and noisy. But Jesse got to ride the gyroscope, he and Jeremy rode a roller coaster simulator, everyone enjoyed the big bubble stations, and everyone found several things they enjoyed doing. One of my favorite moments was watching Timothy walk up and down the giant piano keys. We stopped for lunch at Mellow Mushroom on the way back, which has become almost a tradition when we’re in the Pigeon Forge area. I appreciated that Great-Grandma’s caregiver was able to stay a little extra these two days. Home for naps again (I love toddler schedules. 🙂 ). Then we got together again that evening for more visiting and a bit of game playing (or the game playing may have been another night…). I made some gluten free sugar cookies to snack on and Timothy helped a bit. Then Sunday was Easter. We had a nice service commemorating our Lord’s Resurrection with some special music and communion. We got in some family photos before everyone changed out of their dress clothes. Then we had a scrumptious dinner, then an Easter egg hunt, which the big kids like, too. 🙂 Some of the eggs are filled with candy, but most with change, and a few with paper money. Then Jeremy’s flight left and everyone went home and we crashed. 🙂 Our church didn’t have evening services on Easter, so it was nice to just rest, catch up on computer stuff, nap, eat leftovers, and read off and on the rest of the evening. I was planning to give myself the day “off” more or less on Monday, reasoning that during holidays all the men can take some vacation days and set aside their regular work whereas the wives and moms usually have a bit more at those times (not complaining – that’s just how it is). It didn’t work out to a total day off as there were some errands needing tending to in the morning, but it was a fairly light day. I don’t usually do freezer meals, but Jesse reminded me I had one in there from a time when our leftovers were more than we’d likely take care of, so I pulled that out for an easy dinner. Usually Jeremy is here for a week or so, so we have some down time in-between outings. But even though this was a busy few days, it was enjoyable and memorable. I’m planning to take down the Easter decorations this week and get a wedding gift ready for the weekend, but otherwise I need to sort through things that need to be done to decide what’s next. I hope you had a wonderful Easter weekend as well. Posted on March 14, 2017 by Barbara H.
I don’t usually offer unsolicited parenting advice, because a lot of moms are sensitive to it. I am not sure what brought this to mind today, but as I found myself thinking about it, I decided to try to write those thoughts down – perhaps they may be of help to someone. It’s natural when Mom is home with little kids that certain routines arise. It’s good to involve your child in your day, and they enjoy the togetherness as much as the “helping.” Maybe Little One always closes the dishwasher door for you after you’ve loaded the dishes, or always puts the canned goods in the pantry after coming home from the grocery store, or always cuddles with a drink and a blanket and book before nap time, or whatever. Then when Dad is home during the evenings or on weekends, he has no idea about such routines and can’t understand why Little One is crying while he’s putting the canned goods away or why shutting the dishwasher door caused a major meltdown. If Mom scolds impatiently because Dad has done it “wrong,” Little One is going to pick up on the resentment, and Dad is going to feel like an outsider in his own family. In the immediate moment, a gentle explanation is in order, and maybe Baby can be given a can to put away or the door can be opened so he/ she can shut it. I’m not for a little one calling the shots or ruling the roost, but I don’t think this is a case of “giving in” to his or her wants. I think this is not so much a case of selfishness or wilfulness as it is just disappointment. At some point Baby needs to learn not to melt down over every disappointment, but that is easier to deal with when you can talk and reason more later on. Perhaps early training can begin that way by saying, “It’s ok. As soon as you stop crying, you can put this can away,” etc. In the bigger picture, Mom can welcome Dad into their routines. Perhaps Mom can talk about their routines in the ordinary course of life. “It’s so cute that she likes to help me put the cans away.” That way Dad is familiar with them. Or let him know ahead of time, while bringing the groceries in, that you usually let Baby put away the cans. Dads can help by understanding that a certain amount of this is going to be inevitable when Mom and the kids spend all day together and avoid getting feelings hurt over it. Participate, ask to help, let Mom know if you’re feeling left out. Something else we have to watch out for is that we can get so wrapped up in our kids and their needs that we neglect our husband and his. That need weighs on us with our children because they’re so helpless, and we feel our husbands can take care of themselves. But that’s not how we felt when we married them! It can be difficult, especially with young babies, but this is another way in which it’s important to let dads in, to let him handle the baby’s care sometimes – both so you’re not overloaded, and so he can increase his time and interaction with the baby. He may not do everything just like you would, but that’s okay. And, of course, this can involve other scenarios than little ones’ routines: a spouse can feel left out if one is on top of the family schedule and the other misses a memo, or if mom and the kids always get ice cream on Mondays after school (one of our routines the last several years of school), and dad didn’t know or forgot when he picked them up. As kids get older, they can be taught to be gracious, to respect others’ feelings, not to whine when something doesn’t go their way, to ask respectfully rather than throw a tantrum or sulk, etc. Not making someone feel left out of the loop becomes a family issue and not just a marital issue. And, also, it’s not only dads who sometimes feel left out. Sometimes he is the one who is at home more, or who has fun routines with the kids, or who has regular activities with them that don’t include mom (hunting, sports, etc.). The point is to remember that you’re a family unit. That doesn’t mean everyone has to do everything together all the time. We used to go camping as a family, but when I got transverse myelitis, that became more difficult for me. So sometimes my husband and sons went either by themselves or with a men-and-boys church activity. Once they were close enough that I drove over to eat the dinner that my husband prepared at the campsite, and we sat around the campfire and roasted marshmallows and made s’mores. Then before it got dark I drove to my climate-controlled home and comfortable bed while they enjoyed the rest of their camping experience. 🙂 And I still felt included because I heard all about the rest of the adventures when they got home. When my husband traveled a lot, we looked for ways to keep him from feeling out of the loop. Keep the lines of communication open, keep each other informed, be gracious when a slip-up happens, find ways to include each other, share conversation and possibly photos about experiences even if the experiences themselves can’t be shared. What ways have you found to help your spouse feel included in your day to day rituals and activities? Posted on February 15, 2017 by Barbara H.
We had a lovely Valentine’s Day. We’ve always made it a family day. We’ve tried once or twice going out for dinner, but the restaurants are so crowded it took a long time and wasn’t enjoyable. 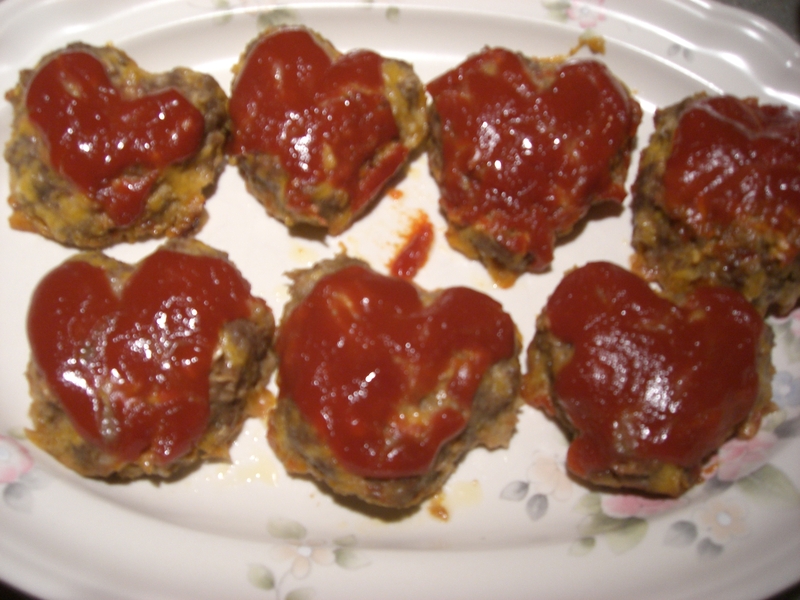 A few years ago for Valentine’s Day I used the recipe for Li’l Cheddar Meat Loaves but shaped the loaves into hearts, and that has become a tradition. (Note on the recipe: I use oatmeal instead of bread crumbs, only about 1 1/2 Tbs of brown sugar instead of 1/4 cup, and I omit the mustard because it gave it more of a BBQ flavor). ..and peanut butter cookies with Hershey’s heart candies on top. I received flowers and candy from my dear husband and cards from him and Timothy. Jason and Mittu and Timothy also gave us these cute magnets from Photo Barn. I had planned to put something like “Sending love your way…” on the front, maybe on one of the clouds. But I thought this looked balanced as is, so I put that on the inside. I was particularly excited about this one for Timothy. He likes anything on wheels right now, and I had seen one design with a dump truck with hearts in it that I was planning on using. But when I saw the design for an excavator, I had to use it. He’s very much into excavators right now (and it is so cute to hear him say it) thanks to this guy, and can even name all the parts. I was thankful to find stick-on letters (for sale half price!) for that one and the next one at Hobby Lobby. This was Jesse’s. From the time he was very little, he’s always had a bright, happy spirit, so this seemed perfect for him. And this was for Jim’s mom. My machine had some trouble with the small cuttings – I think maybe I need a new blade, but I didn’t have time to run out for one. There were four hearts layered for this one. I enjoy making these as my gifts to my family. Posted on November 22, 2016 by Barbara H.
I mentioned a few weeks that my son and daughter-in-law were going to put a mini Christmas tree in my little grandson’s room and asked if I would make some ornaments for it. I decided to go with felt because it’s obviously not breakable and hopefully will hold up to being handled by a little one. I wanted something he could be free to be “hands-on” with. That was part of the idea behind his own tree. So I researched Pinterest (love that place) and got several ideas. One included free patterns; some I cut out freehand; for others I googled things like “gingerbread man template,” “candy cane template,” etc., and found basic designs. I thought I could machine-stitch most of them, which would have made the construction go much faster. But it was a little hard to control, especially for the small ones. So I looked up how to do a blanket stitch (if I had ever learned it before, I had forgotten it). By the last few I was pleased that my stitches were getting more uniform and even. I think the blanket stitch overall makes them look cuter though it did take a bit longer. I’m learning in my (ahem) middle age that I have to have good lighting to see to stitch well. My craft room doesn’t have the best lighting except in the afternoons, so I’d go in there for a couple of hours a day and open the blinds, and that worked best. Sometimes I was motivated to do more, but my neatness fell off after a while, so it ended up being a good thing to work on it only a limited time each day. Sometimes my lack of dexterity in my left hand, leftover from transverse myelitis, was a bit of a problem. Even though I’m right-handed, holding the ornament in my left hand just right to be stitched was sometimes problematic, especially when trying to hold those tiny buttons in place. But overall I was pleased that even with “issues,” I could still do something like this. I used Wonder Under on some of them (like the fox and deer ornaments) to fuse a design on, both to make it more sturdy and to use less stitching. 🙂 I also used it to fuse a basic woven fabric to the back of some of the designs that had a lot of buttons, because the newer felt is kind of thin, and I didn’t want the buttons to be pulled off due to the weakness of the felt. There is an old-fashioned kind of felt that is thicker but also pliable (I am thinking it might be made of wool, but I’m not sure). Then there is a newer synthetic version that’s very thin and worked well for fusing on top. There is an even newer synthetic version that is very thick and not very pliable. I tried to cut the gingerbread people out in a double layer and nearly gave up because it was hard to get more than a blob: the finer details, cutting around the neck, etc., were hard to do. I came back the next day and cut the layers separately, and that worked much better. I was glad I persevered because they turned out to be some of my favorites. This first one I did not make: I bought it. I saw it on Pinterest, clicked through, and found it was from an Etsy shop, and, unfortunately, got a notice that the item was sold out. I messaged the seller and told her my little grandson loved Batman, and would there be any possibility she would be making any more. She said she happened to have one left, and she sold it to me. Yay! I had given some thought to trying to make it on my own – but she did such a great job, I was glad she had one left to sell. Free patterns for the deer and fox ornaments are here. They’re Starbucks aficionados, thus the Starbucks-type coffee cup. 🙂 They always ask for a small empty cup for Timothy so he can have “coffee” with them. I think the gingerbread family are my favorites. 🙂 They’re supposed to roughly correspond to my son’s family, thus the blue eyes for the Daddy. etc. I stuffed some of them, others I left flat, just depending on what I thought looked best for each one. The first one I completed was the little house, and got it kind of over-stuffed, but that taught me that they just needed a little. I had thought about using one type of hanger for them all so they’d look more like a set, but it seemed better to vary them with what I thought would look good for each one. I found a sturdy gift box from W-Mart which had a lid that just lifted off, so Timothy would have a box to keep them in and also so it would be easier for him to open rather than unwrapping something. We took the box over to him on Saturday. He enjoyed checking out the ornaments and putting them on his tree.